There is an epidemic of crime going on around us. And it’s an epidemic that is invisible and happening in homes all around your community quietly so that nobody knows it is happening. It is a crime that will take the dedication of people who care deeply for their families and have a lot of time to track down these criminals and see to it they are brought to justice. The crime is internet stalkers and they are out to steal the souls of our children and grandchildren. We all may have seen on television the shows where they catch internet stalkers who come to houses thinking they will be able to molest a young girl or boy. It is horrifying to see that such people may be preying on our grandchildren even as we speak. As grandparents of our sweet grandchildren, we have a knee jerk reaction to try to gather them close and hold them so these terrible people cannot hurt our children. But in the case of internet stalkers, this just isn’t possible. Stalkers go onto internet “chat rooms” which are web sites where young people can talk and socialize with each other by typing messages back and forth. The messages go back and forth as fast as the kids can type them so they have a lot of fun gossiping and just being kids just like they do at school. This on the surface doesn’t seem to be a bad thing. But an internet stalker isn’t a child. He is an adult who wants to seduce your grandchild and get him or her to come to them and then molest them. The outcome is often tragic and could even end in death for the deceived child. And the problem is that internet stalkers are not criminals in any other way. The ones who have been caught come from all walks of life and are mostly common, respectable citizens in every other way. That is what makes them hard to catch and this epidemic so hard to stop. Because there are thousands of internet chat rooms and millions of people using them, it’s hard for law enforcement to know how to watch for stalkers. Internet stalkers blend in with the rest of the chatters, often disguising themselves as children themselves to deceive others. So it takes a skilled eye to find them and then to catch them in the act. What is needed is an army of stalker stalkers to haunt these rooms, identify the stalkers and turn them over to police for prosecution. As senior citizens, we have the time to be stalker stalkers. And we certainly love our grandchildren enough to want to stop these terrible men from hurting our kids. We can talk to our children about how to protect their kids and they can give them guidelines. But the reports tell us stalkers are incredibly clever and patient so we need that next level of protection and we need this army of stalker stalkers to go after these fiends and put a stop to what they are doing. It will take some learning about the internet and computers to become a stalker stalker. You will need a connection to the internet in your home or apartment so you can also find chat rooms and begin to get a feel for how chat goes. There really is no classroom training for this job. You will have to learn how kids talk online and the way they communicate. You will have to watch conversations to see if you can spot signs that certain internet chatter is trying to manipulate another into something unwholesome. 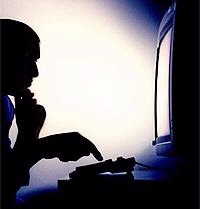 Often chatters will send pictures or use webcams to show pornographic pictures to children. If you can catch an internet stalker doing that, you have caught him in a crime and you can get them prosecuted. But above all, don’t try to take action yourself. Learn all you can about the internet stalker from your own chat skills. Before long, you will get good at it. But also work with the operators of the chat service and with local law enforcement. If they know you are a stalker stalker, they can be ready when you put them on alert to take action to bring these perverted people to justice. And when you see that a stalker was taken out of the chat rooms because of your work, you will know that you did your part to protect your grandchildren.